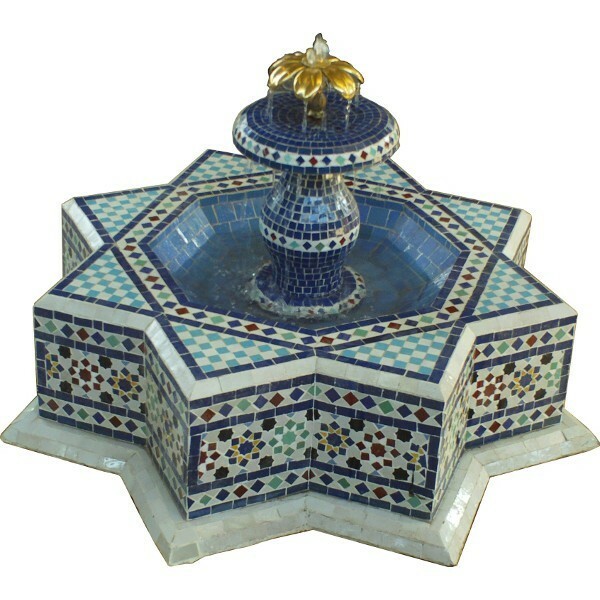 Star Zellij Fountain hand made in Marrakesh, Morocco. Hand-cut zellige tiles. 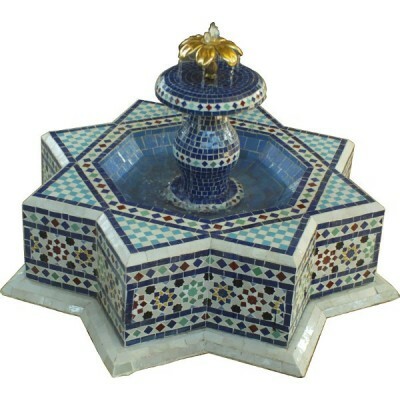 Star Fountain comes on wheels with a water pump using a closed system and a power supply. Easy to move, easy to use, you just have to fill the water basin and to connect the electric pump.